x3 Developing of B&W Negative 120 Film. x3 High Res scanning of negatives. Delivered by We Transfer, Drop Box or Google Drive. Process NOT used for Ilford XP2 B&W film. 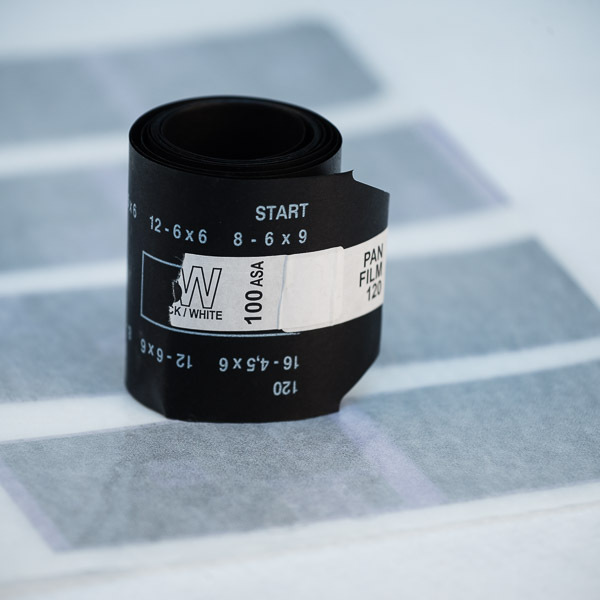 Developed negatives are returned ready cut in Archival sheets. Any ASA and any manufacturer. This is NOT for Colour Negative nor Slide/positive films. Not available with other offers, coupons nor sales. High Res scans are not delivered on DVD. Batch Developing & Scanning – B&W 120 is suitable for frequent shooters. Just drop off x3 B&W 120 films and get them back developed and scanned in high resolution. Films must all be 120 but can be of any ASA and any manufacturer. Please note: Not available with other offers, coupons nor sales.